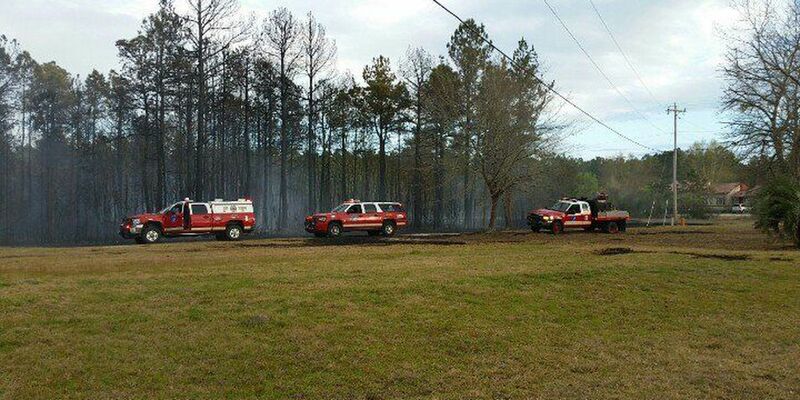 COLLETON COUNTY, SC (WCSC) - Fire officials with the Colleton County Fire-Rescue were battling a large woods fire in Walterboro on Sunday afternoon. The fire was on Burlington Road, just north of Nunuville Road, officials say. As of Sunday night, the fire was contained. Approximately 100 acres was under flames. Residents were evacuated, but around 7:45 p.m. they returned to their homes. Only one home had minor damage, according to fire officials. Four engines, three brush trucks, five tenders, four Forestry tractors and three medic units were all on the scene.